I mean this gesticulation is about his macho sobrador(haughty,arrogant) position . And beware I´m a widely Sinatramaniac but there are some things that bother me as a woman . The comment that is this is about “macho” or “arrogant” is truly ridiculous. Do people have to make things up so they can have something to worry about? 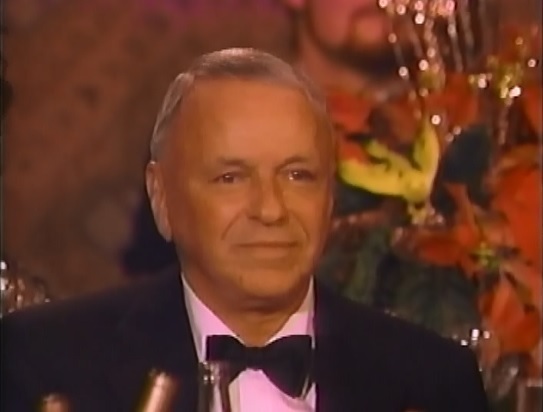 Sinatra would do this–what–once or twice during a show? To this day I see Italian people who talk with their hands–I still do…and it’s pretty useful up on a stage. It’s like punctuation, it underlines, it exclaims, and helps make a point. Sinatra is very good using his hands for expression.